In Hubei province, CRCC has started its high speed railway project since 2016. There are several important tunnel projects which is essential to the whole railway project including: Xinhua and Gaojiaping Tunnel. JSI rock drilling tools are applied in both primary and secondary tunnel drilling among those 2 tunnels. Products include B45R32 drill bits, 5.5 meters extension rods, 4.9 meters extension rods and COP1838 shank adapters. Tunnel Xinhua is the longest tunnel of this project in Hubei. It is 18,770 metres long and across Shennongjia, Baokang, Xingshan County. It is also the most difficult tunnel to construct in Hubei. It is contracted by China Railway First Group. Construction duration of Xinhua Tunnel is supposed to be 40 months. As the most important project of China Railway First Group in Hubei, Xinhua Tunnel applies newly developed Chinese jumbo ZYS113. This model was independently R&D by China largest tunnel equipment developer, China Railway Construction Heavy Industry Co., Ltd. As its’ main supplier of rock drilling tools, JSI provides satisfied quality products and customer supports. 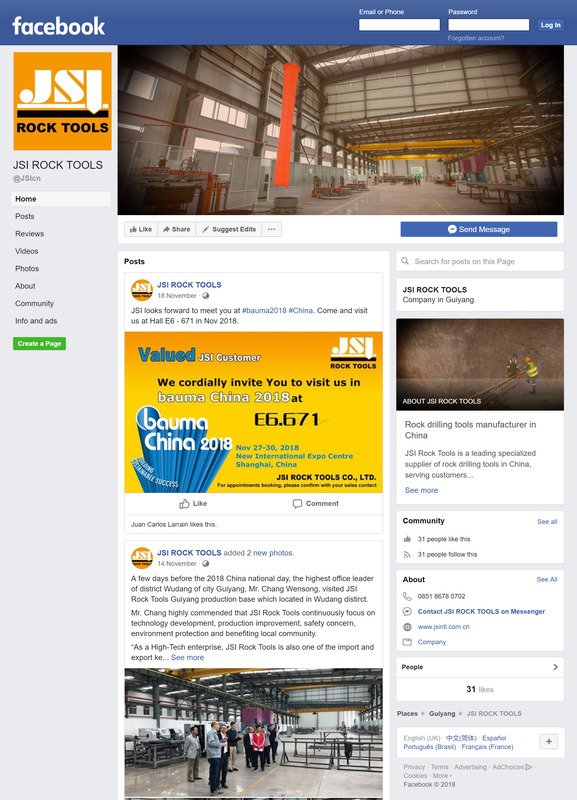 JSI rock tools has convinced both constructor and equipment developer that, we can provide consistent high quality products and services. Tunnel Ganjiashan is 5,592 metres long and located in Hubei province. It is contracted by China Railway First Group. JSI rock drilling tools are applied in both primary and secondary tunnel drilling. JSI rock tools are mainly associated with Atlas XE3C 3 arms computer controlled jumbo.